The SafeGolf accreditation will be launched in the first week of October. To achieve it clubs will meet the standards for safeguarding which are already part of the GolfMark Award. · Providing regular training in safeguarding and child protection for professionals, staff and volunteers who work with children. 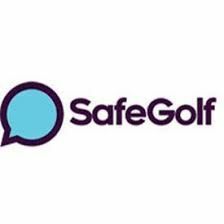 SafeGolf is a UK & Ireland safeguarding partnership which promotes a safe and positive environment for everyone in the sport. It offers a website – www.safegolf.org – through which anyone with a concern about the welfare of a player, or the behaviour or practice of a coach, volunteer, organiser, parent or a player, can contact the lead safeguarding officer at their national governing body. The SafeGolf accreditation for English clubs is an extension of the service.